We could say it all started with an apprenticeship in a busy West-End workshop, where Luke learned every aspect of jewellery making from a Master Jeweller before becoming workshop manager himself. However, in reality, it started a lot earlier than that. Even as a child Luke was hypnotised by art and the beauty of the natural world, blooming his passion for coloured stones. After thriving at school with Design Technology, Maths and Art, Luke pursued Graphic Design and Photography at college. He was interested in pursuing an Architecture degree when he was offered an apprenticeship to a jewellery. By chance, an opportunity arose where all the elements of design Luke had practices came together and he fell into the trade of his family name. Today, Luke crafts his jewellery with mathematical precision, utilising bold architectural forms and his artist’s eye all at once. Luke’s career took off while working for a small jewellery company. After thirteen years of developing his own techniques, Luke’s Canterbury atelier opened in March 2011. He began focusing his energy on bespoke one-off pieces, along with commissions and remodelling of existing jewellery. For Luke, jewellery making is about creating the incredible, allowing his original pieces to innovate and break the boundaries of conventional design. Each bespoke item can take anything from weeks to months to make, as details are tweaked and the design is elevated with each turn. After rediscovering his childhood fascination with coloured stones, he’s now one of few contemporary jewellers daring enough to experiment with their rich colours and unique shapes in order to bring about one-of-a-kind pieces of jewellery. 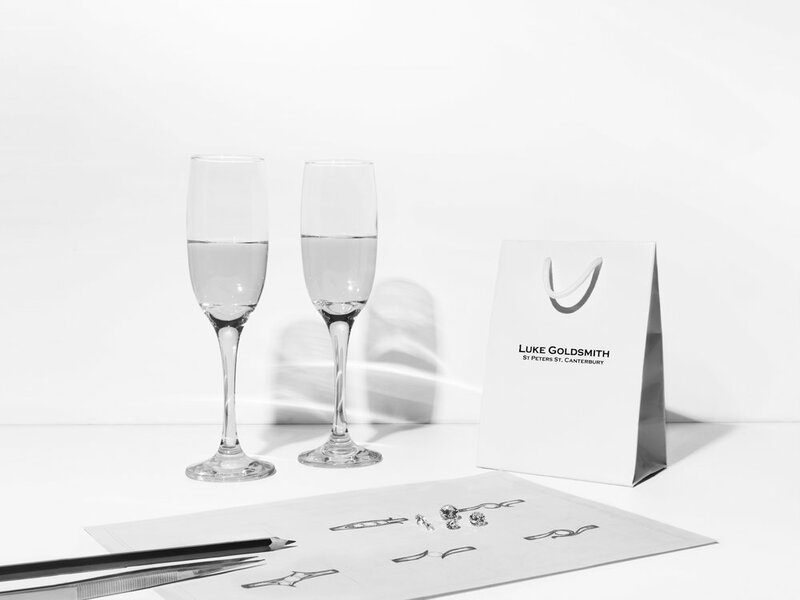 While most art stands apart from us, accessible only through the eyes, Luke’s jewellery is a way of wearing art. Jewellery only comes alive while worn: when its weight rests against skin, when earrings sway with the tilt of the head, when a necklace falls near the heart, reminding one of a place, person or experience. It is truly a luxury to own and war handcrafted jewellery, but a luxury everyone deserved to experience.